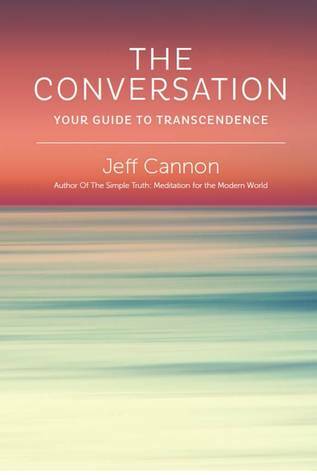 The Conversation is an inspired book of growth and self-actualization. It follows the lucid dreams of Modern American Monk, Jeff Cannon, that transpired over five days and nights of awakening while staying on the Greek Island of Ithaca. The conversations of each dream answered many of Jeff’s questions on the nature of existence, the meaning behind the Human Experience, as well as what happens next. The Conversation follows a very powerful law of physics into the world of metaphysics; that in reality energy cannot be created or destroyed, it can only change form. The Conversation follows this simple law, to explain the natural order of existence that result in the balance and connectedness we all feel. It answers the questions everyone has about self and spirituality on every level. The result is a book that is simple to understand and easy to read. It is a meditation for the modern world. This book started off as being very intriguing. I have been exploring lucid dreaming for quite a while. The author got the inspiration for this book while he was on vacation to Ithaca and the dreams that he had there. Such a beautiful paragraph. I am so stunned with what the author has written. I didn’t think a spiritual book could affect me this much but it has. What I liked about this book was that each lucid dream was explained as a conversation, between the author and an energy, which found the author and spoke to him. I have often wondered how people came to be in contact with higher energies and I figure it is simply our consciousness deciding to expand itself. A lot of times the problems that we face in life are those we can easily solve. We just don’t have the correct perspective. Sometimes, we dilly and dally about our choices, giving ourselves the easy way out. Without truly exploring what our mind wants. This book made me want to explore. It made me want to pay attention to higher spiritual powers. It made me want to go on a course to gain higher and spiritual knowledge and wisdom. It matters a lot to me that this book has come at a time when I need to take some hard decisions about my career and about how to go ahead in life. Pragmatism against what my gut says. Professionalism and the tagline of a job against freelance. And I can’t help but look at the sheer knowledge which has fallen on my lap and wonder, there is definitely some higher power looking over me, to give me this knowledge right when I need it. The author writes in simple language, which is easy to understand and imbibe. I am going to take my notes and share it with everyone on this blog so that it helps the collective blogsphere at once.